Would you drive 130 miles on your day-off to experience the taste of your favorite childhood food item once again? As much as I like to think of myself as a food lover, I can never claim to be as passionate as my dad. 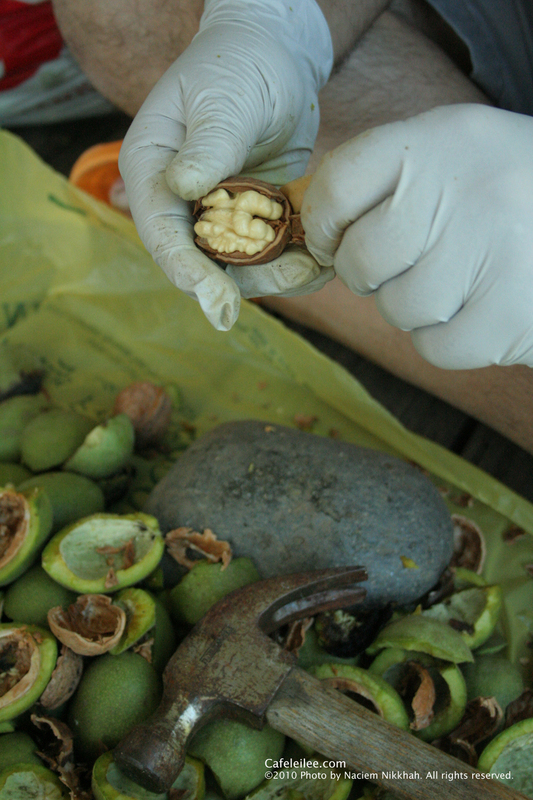 This weekend he drove 130 miles to Jackson, California, to pick fresh walnuts. My dad's side of the family are originally from a small town in the Semnan province of Iran, called Shahmirzad. 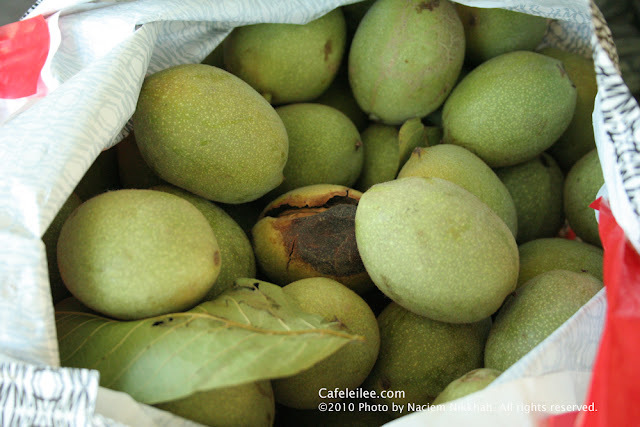 This little town is famous for its sour prunes and large walnut orchards. 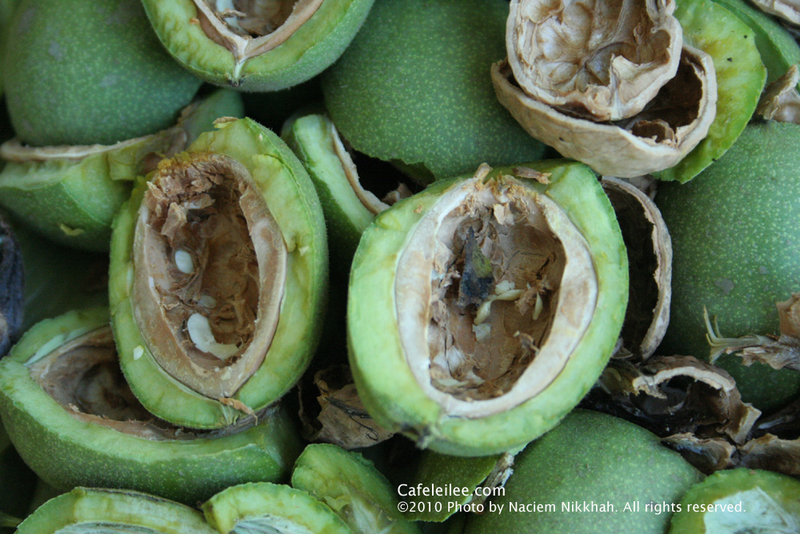 The town produces so much walnut, that there is a regional game played by the young boys in the alleys called "gerdoo bazi", meaning walnut game. The game is very similar to the Italian bocce, but instead of bocce balls, hollowed walnut shells are used. Like my father, as a child I spent most of my summers in this town in my grandparents house. Its cool weather gave us refuge from the heat and humidity of the Caspian region. And the sound of wind tangled in the willow trees along with the sound of the nearby spring water passing through the house gave us the calm and relaxation we needed after a long nine months of school. 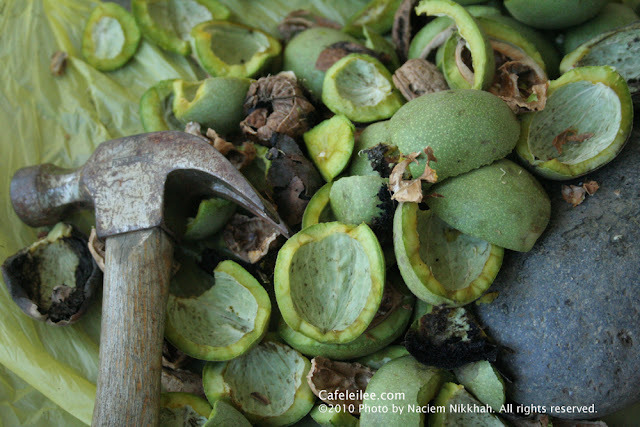 Before heading home, in late summers we would spend hours in my grandfather's garden picking walnuts and then gather as a family to break the shels and remove the bitter skin to discover the amazing taste of fresh walnut. 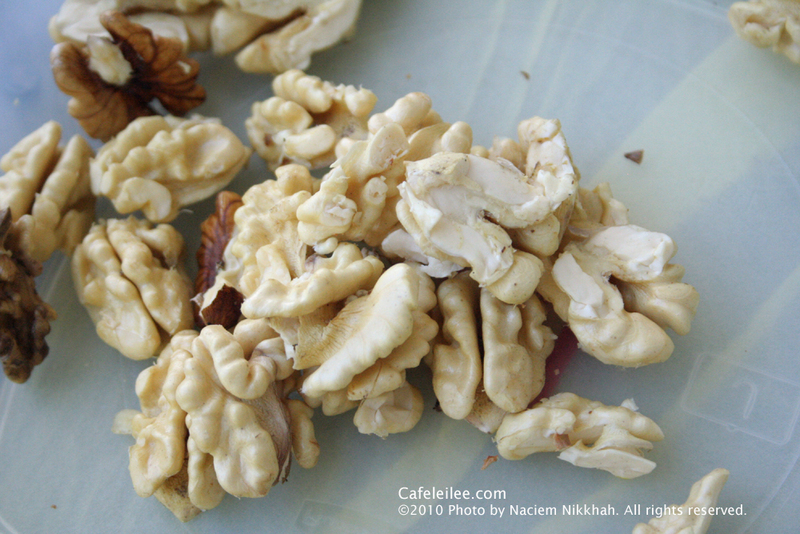 Anyhow, today I decided to post some pictures of these fresh walnuts instead of posting a recipe. After all, all the dedication to picking fresh walnuts, needs some recognition, don't you think? من همیشه فکر میکردم که خیلی شخص غذا دوستی هستم، ولی هیچ وقت نمیتونم ادعا کنم که به اندازه پدرم عشق و علاقه به غذا دارم. جمعه گذشته آقای پدر ۲۰۰ کیلومتر به شر جکسون کالیفرنیا رانندگی کرد تا گردو تازه بچینه. من هم مثل پدرم، اکثر تابستونهای دوران کودکیم رو تو این شهر گذروندم. هوای خنکش پناهگاهی بود از هوای گرم و رطوبتی شمال. صدای پیچش باد توی درخت های بید و صدای جوی آبی که از کنار خونه آقا جون و مادر جون رد میشد آرامشی به ما میداد که خستگی ۹ ماه مدرسه رفتن رو از ذهن و بدنمون خارج میکرد. آخر هر تابستون هم، قبل از برگشتن به ساری همه خانواده جمع میشدیم مشغول گردو پوست کردن، لذت مزه اون گردو همراه با خاطره های اون دوران و دور هم جمع بودن ها همیشه تو ذهنم خواهد موند. I wish someone would sell them online. Mr. Dad was not able to go and pick them for us this year! They have a very short season and they are hard to come by! 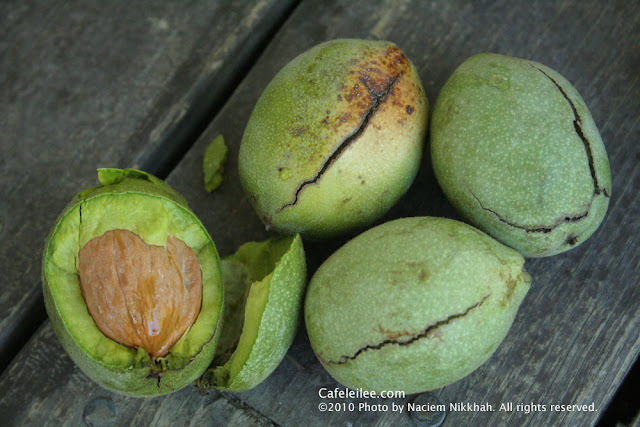 I grew up with fresh walnuts, every September having brownish black hands for weeks, have not been able to find anybody who would sell me freshly picked walnuts still in shelves. Very sad for so many years. Unable to eat those rancid "so called walnuts" in stores or farmers markets. Is there hope that one day I can have fresh walnut again????? ?